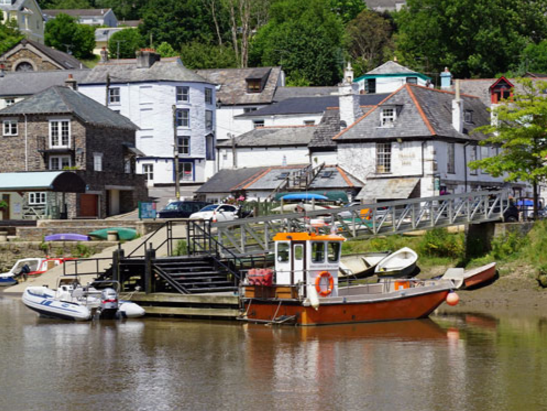 The history of a Calstock ferry is tied with the River Tamar. This river became an important channel during the 19th century. It was where important minerals were traded and transported to different parts of the channel. The Calstock quay became very busy when the village became one of the sources of various minerals (tin, granite, copper). In fact, there came a time when the quay stretch for three-quarters of a mile. This was back in the mid 19th century. This was considered as the heyday of the ferries in Calstock. In the mid 19th century, the River Tamar was the preferred mode of transportation because the roads were quite bad. The river was the easier and cheaper way to go in and out of Calstock. It also helped that other quays were set up to service Okel Tor, Netstakes, Slimeford, and Cotehele. The quays did not only service people traveling, but also minerals like limestone, coal, tin, copper, and even sea sand and manure. There were various mines, quarries, brickworks and farms between Calstock and Callington. There was even a paper mill. You can see just how busy it all was during the day. Transporting people and products by horse and cart was not only difficult but also slow. That meant it was also very expensive. This contributed to the popularity of a Calstock ferry. A paddle steamer service was also actively operating to transport people all over the channel to the Plymouth markets. Most of the ferries were maneuvered by rowing. Sometimes, passengers and good were forced to wait until one or two in the early morning tide to make the rowing easier for the men operating them. By 1825, there were already a lot of excursions. It grew after it became known that the vessel Sir Francis Drake is open for the use of private parties. This vessel was People can now choose to go up and down the channel for leisure purposes. The regular excursions were marked by various entertainment – including music provided by a military band. The region was flooded by people coming in from Plymouth in the late 1940’s. In fact, even Queen Victoria and the rest of her family made a trip in 1856. During that time, Calstock ferries had a busy moment as thousands of people arrived on a daily basis. People used to stay at the Ashburton Hotel (now called Danescombe House). The hotel was specifically created for the influx of visitors. Other facilities cropped up like ale houses, etc. 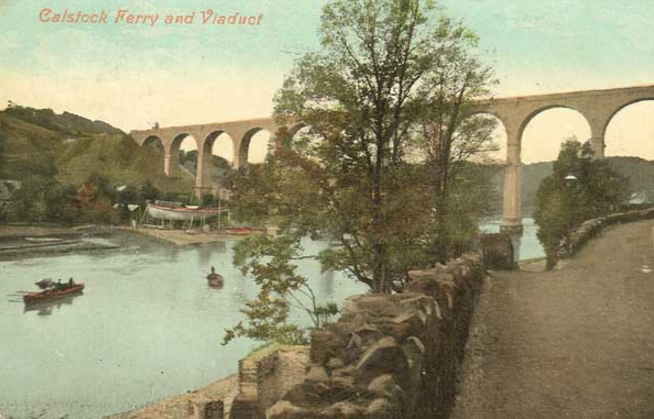 It can be said that the popularity of the place was possible because of the ferries that brought people in and out of Calstock. However, the number of people flooding the village may also have brought about its downfall. Soon, sanitation became a problem and Calstock became an unpleasant place to live. But despite the smell and filth, visitors kept coming. Of course, that was until the cholera outbreak in the early 20th century. The decline became even more pronounced when the First World War caused the boats to be called away one by one. Soon, the Calstock ferries disappeared from the River Tamar. It seemed like the end of the ferries – especially when the East Cornwall Mineral Railway was constructed and the Tamar Valley Railway. But in the 1920s, there was a small revival for the boats. This was not as grand as expected, though, because of the emergence of cars, motor coaches, etc. In 1930, The Empress was scrapped. She was the last paddle steamer in operation. While there were other quays along the River Tamar, they also died down one by one. Today, you can still see a Calstock ferry in operation but you will notice that they are not viewed with a high regard like they were in the past. The village of Calstock is quieter now. But people can still come to ride the ferries to go to different areas along the channel. Most of the excursions are for leisure and tourism purposes. The views are still noteworthy, but it sadly, the feeling was not as grand as it was during its heyday.